The 2018 NFL season is right around the corner and with all eyes on Thursday, September 6 and the matchup between the Atlanta Falcons and Philadelphia Eagles, we now know who will be starting for the Super Champion Eagles. As Eagles starting quarterback Carson Wentz continues to heal from a knee injury he suffered last December, the Eagles HC Doug Pederson has named Super Bowl 52 MVP Nick Foles as the Week 1 starter. 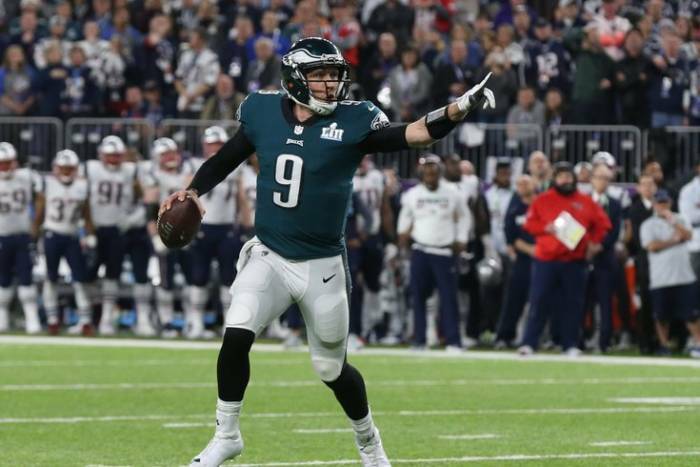 Nick Foles were on a roll during the 2018 NFL Playoffs for Philadelphia helping the Eagles defeat Tom Brady and the New England Patriots in Super Bowl 52. The Eagles and Falcons squared off in the NFL postseason last night with the Eagles beating Atlanta (15-10) in the divisonal round. Althought Nick Foles has been named the starter, the Eagles will be without starting wide receiver Alshon Jeffery and wide receiver Mack Hollins. The 2018 NFL opening game between the Atlanta Falcons and Philadelphia Eagles kicks off on Thursday night live from Lincoln Financial Field at 8:20pm. Stay tuned to HHS1987. Follow @eldorado2452 on Twitter and Instagram for all your sports news.